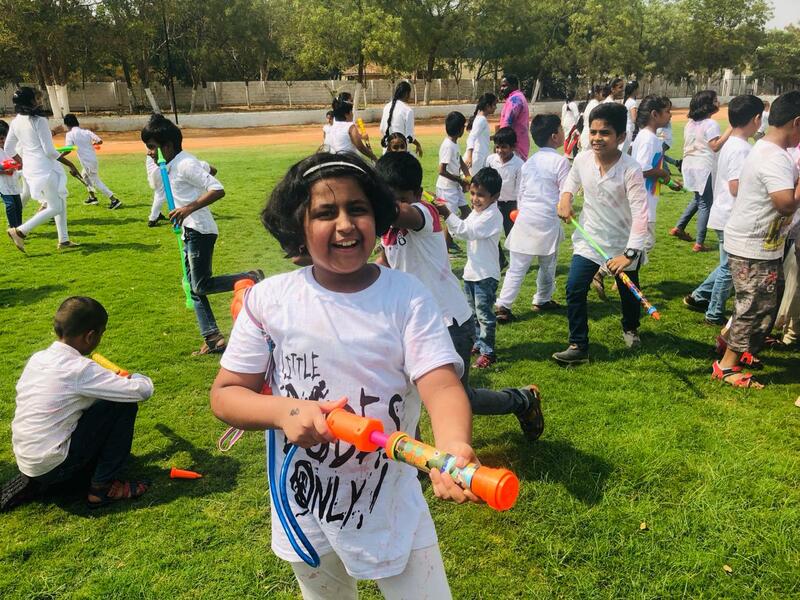 Holi the festival of colours was ushered in by our sunflower vedicians with a Big Bang ..True to it\'s meaning all dressed in white giggling &laughing they all had a joyful day chasing each other with colours and loaded pichkaris . Drums filled with colours and water balloons smattered on each was a sight to behold. Truly the laughter that echoed in the school was pure ,contagious and heart touching . HAPPY HOLI DEAR PARENTS,CHERISH THE TIME YOU HAVE WITH EACH OTHER .